If you are looking to play for the biggest possible wins then progressive jackpot games are the way forward. 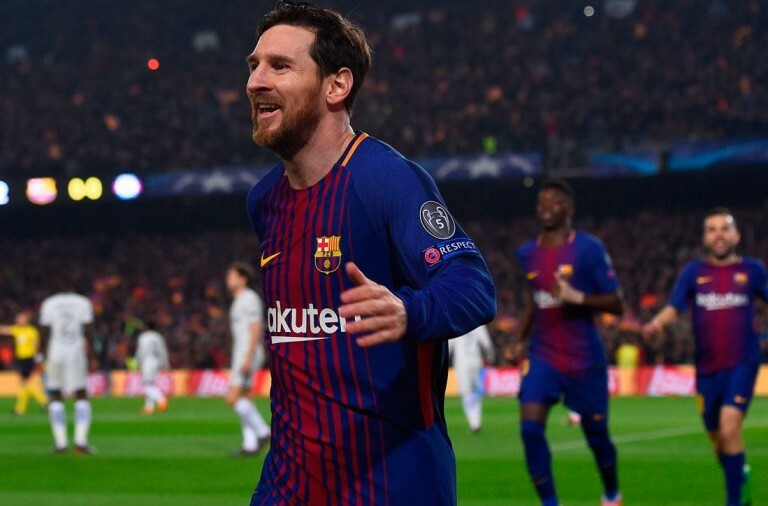 Read about three of them below and how they give you the chance to win some vast sums of money. If you enjoyed the film Gladiator and you wish that you could travel to Ancient Rome and visit the Coliseum then you will love the slot Gladiator Road to Rome. The game brings the characters to life on the reels and gives you the chance to win a progressive jackpot that is worth an astonishing £1.25 million. It is a 5 reel slot with 3 rows and 25 fixed paylines. Behind the reels you can see the Coliseum and the high value symbols are all characters from the film including Commodus, Lucilla, Proximo and Tigris of Gaul, while the lower value symbols are the playing cards 9 though to A. 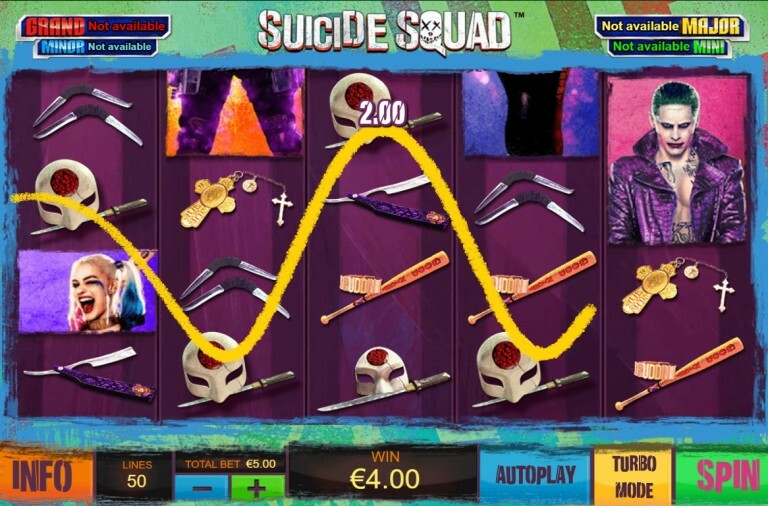 The slot does not have a regular wild symbol, instead, when the gladiator symbol lands stacked on the reels and fills an entire reel it will turn wild and substitute for all of the other symbols, except for the scatter and bonus symbols, to help and form more winning combinations. The bonus symbol is the gladiator helmet and the scatter symbol features crossed weapons on a shield. 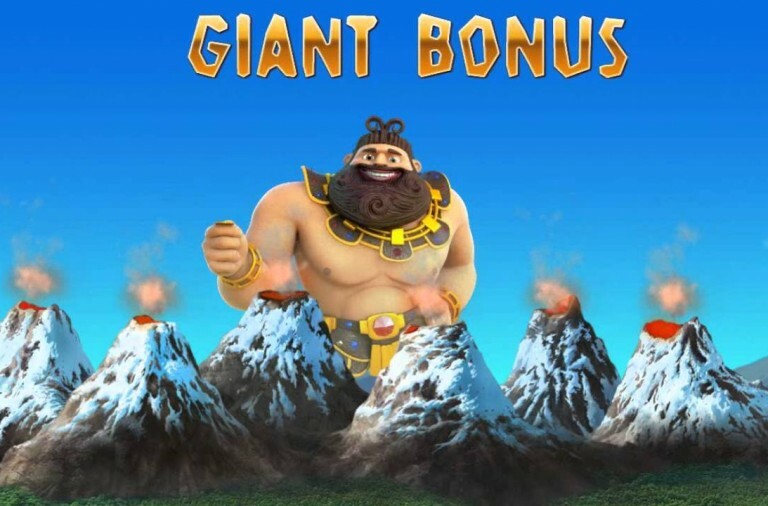 If you are hoping to win this huge jackpot then you will first need to trigger the Gladiator Bonus game. The game begins when you land the helmet bonus symbol on reels two, three and four simultaneously. You will then see a screen containing nine helmets. The helmets will be made from bronze, silver or gold. Each of the metals is worth a different cash amount, with gold being the most valuable. You will win the jackpot if all nine of the helmets are made from gold. Symbol Pays as Scatter – A random symbol behaves as a scatter symbol. It will also expand during the spins. Gladiator Wild Nudge – When a Gladiator symbol lands partially on the reels, it nudges to turn the entire reel wild. 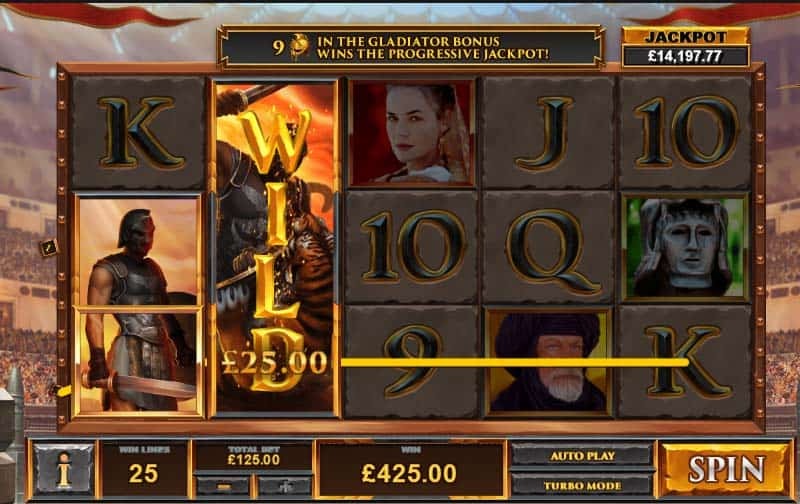 Gladiator Road to Rome has a betting range of £0.25 up to £125 per spin you can play for the jackpot without betting large amounts. 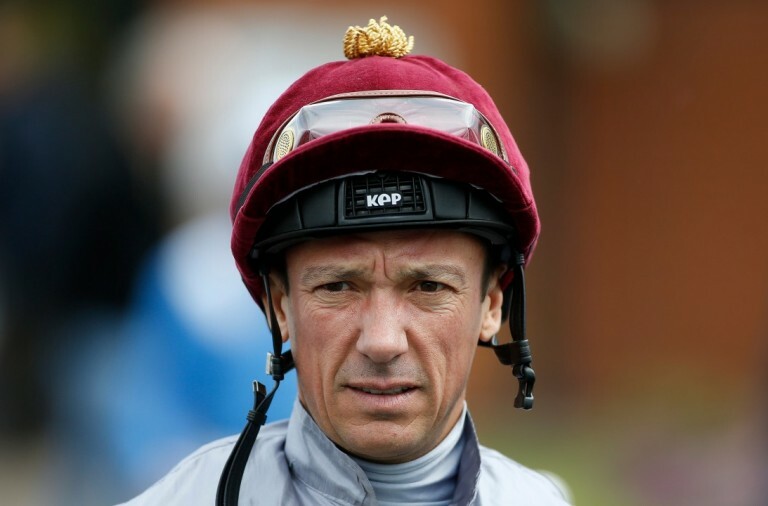 There is a top fixed payout of 1,000x for landing five gladiator symbols along a payline. Commodus can payout up to 500x, Lucilla can payout up to 375x, Proximo can payout up to 250x, and Tigris of Gaul can payout up to 250x. If you want to join in the fight and see if you can win the huge jackpot then set the reels spinning today. If you enjoy the theme of ancient civilisations then you will certainly enjoy the Age of the Gods series of games. 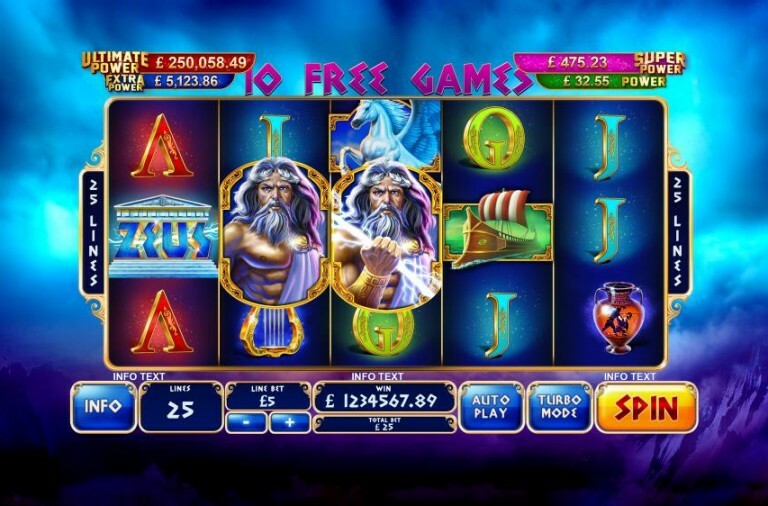 Each is based upon a different part of Greek mythology and they give you the chance to win four progressive jackpots, the largest of which is currently worth around £175,000! Age of the Gods: Furious 4 is about four of the Greek gods. It is a 5 reel slot with 3 rows and up to 20 paylines. The reels are inside a golden frame set high in the sky and the four gods are the four high value symbols, Apollo, Pandora, Hephaestus and Atlas. The lower value symbols are the playing cards 9, 10, J, Q, K and A. The game’s logo is the wild symbol, it will substitute for all of the other symbols, except for the scatter symbol, to help and form winning combinations. The scatter symbol is a golden throne and in addition to offering scatter payouts, it is the key to one of the slot’s bonus features. Those playing for the progressive jackpot just need to keep the reels spinning as the jackpot game can begin after any spin, even a losing spin, and once it starts then you are guaranteed to win one of the four jackpots. In the game you will see a grid of twenty gold coins and you need to pick them one at a time. Each coin will then reveal which of the jackpots it represents and you win the corresponding jackpot once you find three matching coins. From largest to smallest the jackpots on offer are: Ultimate Power, Super Power, Extra Power or Power. Apollo triggers the Age of Light feature awarding four extra spins in which he becomes an expanding wild symbol. Pandora triggers the Age of Curiosity feature awarding a cash prize and four extra spins during which the payout multiplier will increase by 1x each time that she appears on the reels. Hephaestus triggers the Age of Fire feature awarding four extra spins with a wild reel, extra wilds added to the reels, and the other god symbols removed from the reels. Atlas triggers the Age of Endurance feature awarding three extra spins in which he becomes an additional wild symbol that freezes in place when it lands. 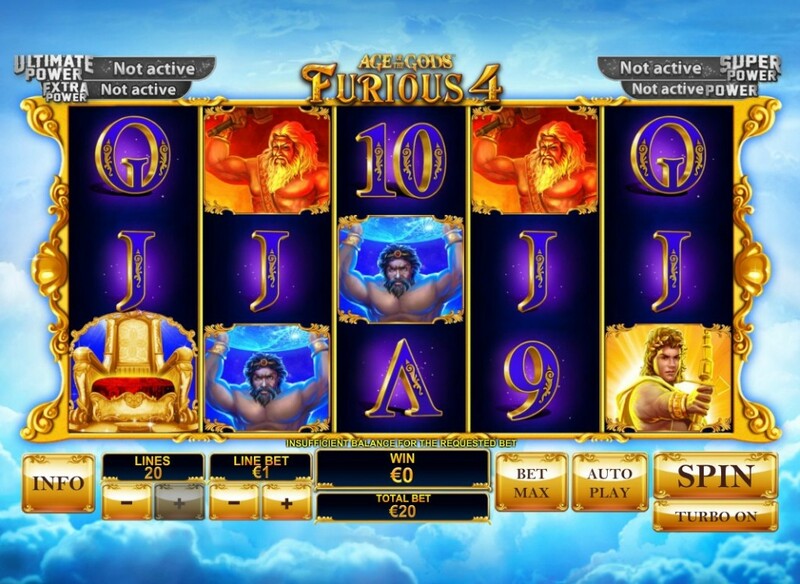 Age of the Gods: Furious 4 has a betting range of £0.01 up to £500 per spin. There is a huge fixed top payout of 10,000x available for landing five of the wild symbols along a payline. Apollo can payout up to 2,000x, Pandora can payout up to 1,500x, Hephaestus can payout up to 1,000x and Atlas can payout up to 750x. Furthermore, the scatter symbol will payout an impressive 200x your total bet for a spin if five of them land anywhere on the reels. Why not see what the gods have in store for you and set the reels spinning on this enjoyable game today. We are in the middle of winter and many of us are probably already looking forward to the summer and relaxing on the beach. If you are one of these people then you will love the slot Beach Life. Not only does it take you to the beach, but also it gives you the chance to win a progressive jackpot worth around £240,000! 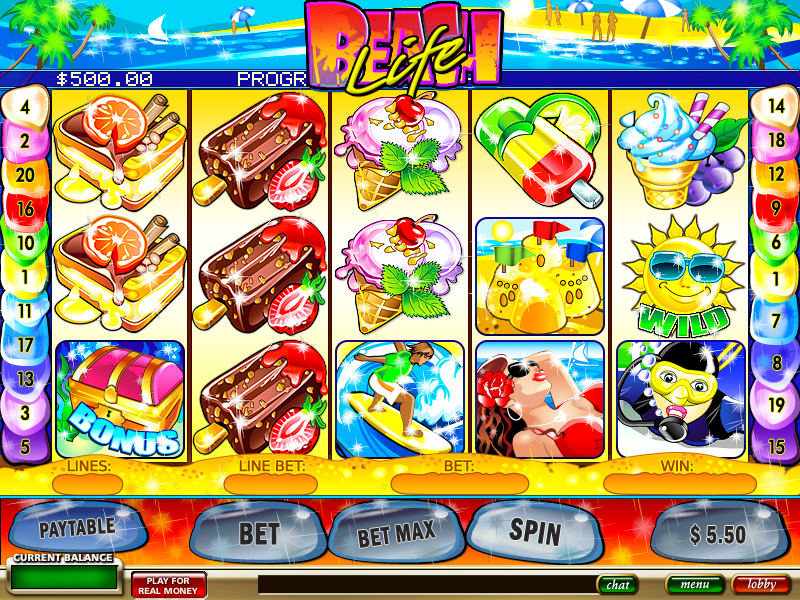 Beach Life is a 5 reel slot with 3 rows and up to 20 paylines. The game has a simple design with a beach scene above the reels. 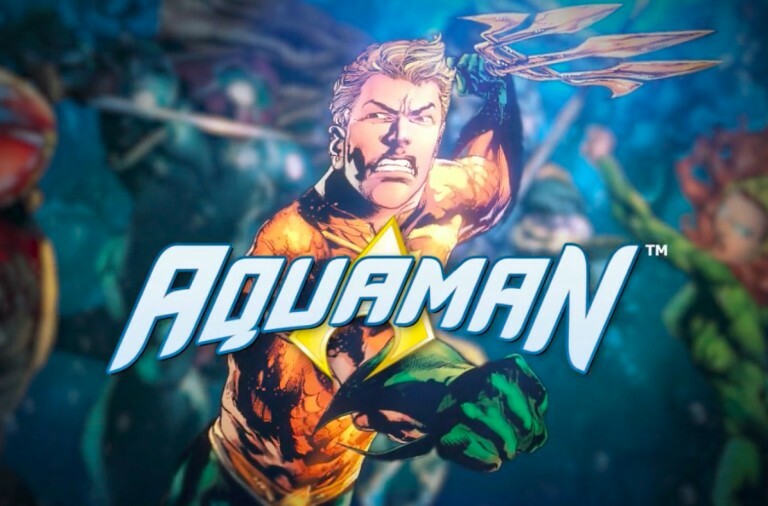 All of the symbols are linked to the theme and they include an ice-lolly, an ice cream cone, a second ice-lolly, a small ice cream cone, an ice cream sandwich, a surfer, a sunbather and a scuba diver. The sun wearing sunglasses is the wild symbol. It will substitute for all of the other symbols, except for the scatter and bonus symbols, to help and form winning combinations. Better yet, it is also the key to the huge progressive jackpot. The sandcastle is the scatter symbol and the bonus symbol is a treasure chest. To be in with a chance of winning this huge progressive jackpot you need to play the game with all twenty of the paylines active. You can then win the jackpot by landing five of the sun wild symbols along the twentieth payline. This payline begins at the top of the first reel, it runs along the bottom of the middle three reels, and it ends at the top of the fifth reel. In addition to the progressive jackpot, the slot also features a Sunken Chest Bonus Game. You trigger the game by landing three or more of the treasure chest bonus symbols along an active payline. 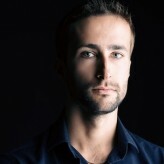 In the game you just need to pick from the chests to win cash prizes. You will have the same number of picks as there were triggering bonus symbols. Beach Life has a betting range of £0.50 up to £10 per spin, but remember to play with all twenty paylines active to be in with a chance of hitting the jackpot. When you play with fewer paylines and you land five wild symbols, or if you land five wilds on any payline but the twentieth with all paylines active, then you will win a massive 10,000x your line bet, and you will win 2,000x for four wilds. The scuba diver can payout up to 500x, the sunbather up to 400x and the surfer up to 200x. You can also win a huge payout of up to 500x your total bet if you land five of the scatter symbols anywhere on the reels. 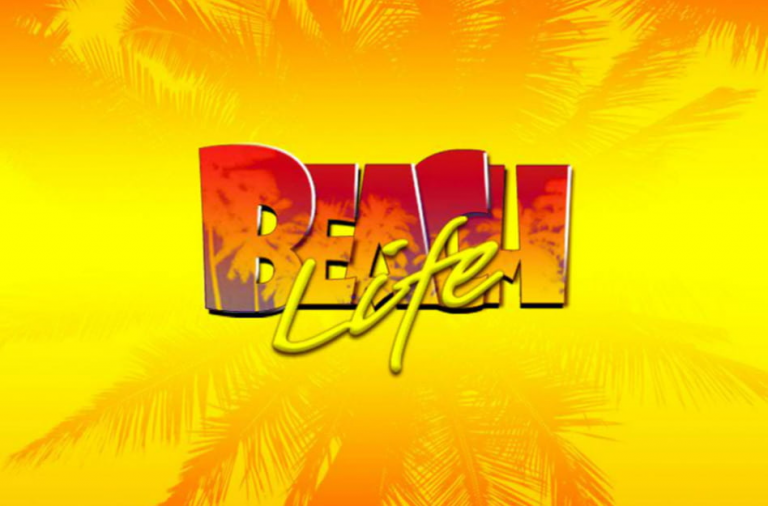 If you want to try to win enough money for the beach holiday of your dreams then set the reels spinning on Beach Life today.